A boat moored in a quaint harbor. 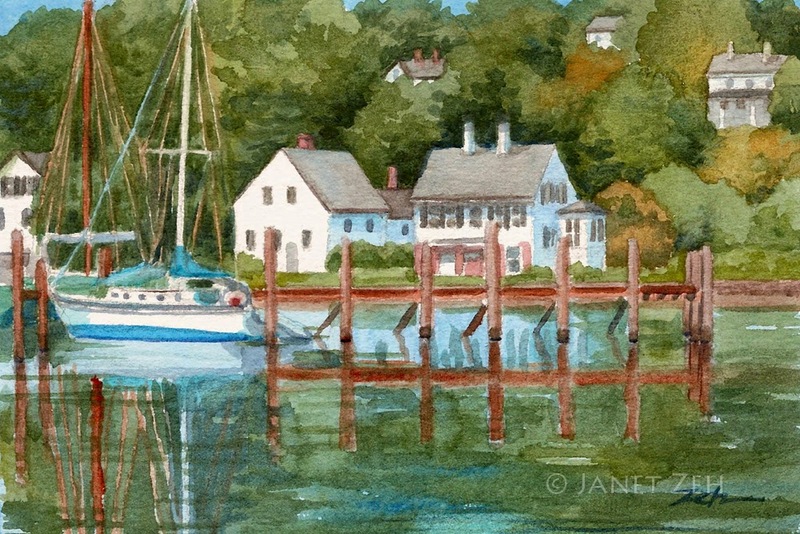 'New England Seaport' Print is available framed, unframed or on canvas. Click the Order Print button below for sizes and prices.